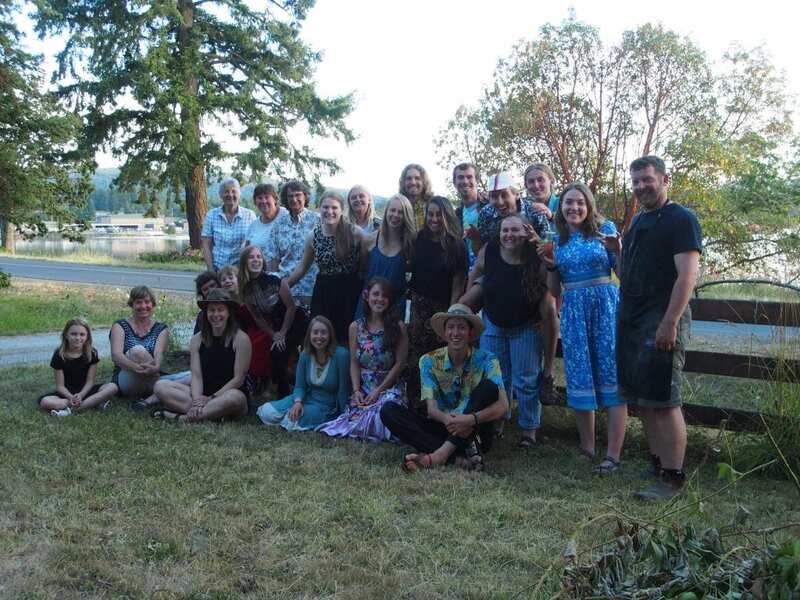 The Redfish Community, with our hosts the Rashleigh family in North Saanich, on traditional Tseycum territory. Home. It is not a place to embody or a commodity with a monetary worth, but rather home is in our primordial connection to life on Earth. For a long time I have wondered where my home was and worried I would never find it without my family. But I’ve found family, in people from across all walks of life, with a collective accountability to what is possible. In constant transition I am awakening with a perception of home that is everywhere, with family all around me. From the settler colonial perspective, home is property, ever-increasing capital, or natural resources. Physical and mental borders presume to make superficial ownership for humans, elevating us to the status of a single dominant species. The stormy sea of Western society evolved from the idea of home as a place, which is a destructive narrative for non human kinfolk. Joanna Macy describes the dominant worldview as the Industrial Growth Society, which thinks of Earth as merely “supply-house and sewer.” Through meaningful discussion, the Redfish School of Change is realizing the values of land in a context larger than our own lives, and decolonizing place. As our group has traveled through the Salish Sea I’ve had the opportunity to speak with people from several First Nations, along with local settlers, about the land and their perception of home. In present day northern Saanich we heard from the elder Earl Claxton Jr of Tsawout territory, who spoke of his home in the ceded stories his people hold to the land and the autonomous efforts from surrounding communities acting to reclaim the land from settler society. For the Tsawout people, their central village site and the surrounding land and water were stolen by a historic brick factory. Before it was Tod Inlet, this place was known as SṈIDȻEȽ (pronounced “Sneed-kwith”), meaning Place of the Blue Grouse. By reintroducing native plant species and eelgrass environments, Earl and others are taking big steps that ground his people back to their ancestral roots and decolonize the land. Embedded in Tsawout culture is their reciprocal relationship with the land, and through their language, restoration, and stories passed down from ancestors, the Tsawout are cultivating a restored sense of home in SṈIDȻEȽ. One story Earl spoke of was the creation of the clam, which began from Tsawout families that were shy and didn’t want to be changed by the creator, so they hid in the sand. Out of respect the creator decided the family would grow into clams and live forever in the sand. This was a teaching for all Tsawout people and for that the clams were seen as ancestors and highly respected. For that reason clams contain significant meaning to their meals. This spoken story was followed by a fantastic meal of clams provided by Earl. For me this experience felt like an intimate love was shared with us; through the stories, teachings, and a tasty meal of clams we were guests to the Tsawout peoples’ land, and invited to live what it means to be at home in SṈIDȻEȽ. The possibilities of home differ from being to being, but the perception is developed from all the relationships of our lives. Experience, stories, and creation autopoetically shape our lives for a home, acting like a shell that we always inhabit. New shells will continue to grow and molt into bigger and broader things, but home is always a part of something that resonates with us. Today my home is within the head scratches, community compassion, and all the awe that the beings of Redfish inspire in each other with tidal currents of love.